Note: DSC can only be run if you have at least Windows Management Framework 4.0 and if your operating system is at least Windows 8.1 or Windows Server 2012 R2. The PowerShell team has released the xSQLPs module as part of the Desired State Configuration (DSC) Resource Kit. xSQLPs contains xSqlServerInstall, which you can use as a starting script when installing SQL Server via PowerShell and DSC. Download the module here. This is what I needed to do to install SQL Server using DSC and the xSQLPs module. Many of these steps are from the xSQLPs documentation page. 1.In order to secure the credentials we’ll need for the installation, the server needs to have a certificate installed. Create a self signed certificate, if you don’t already have it. You can use makecert.exe from the Windows SDK for 8.1. 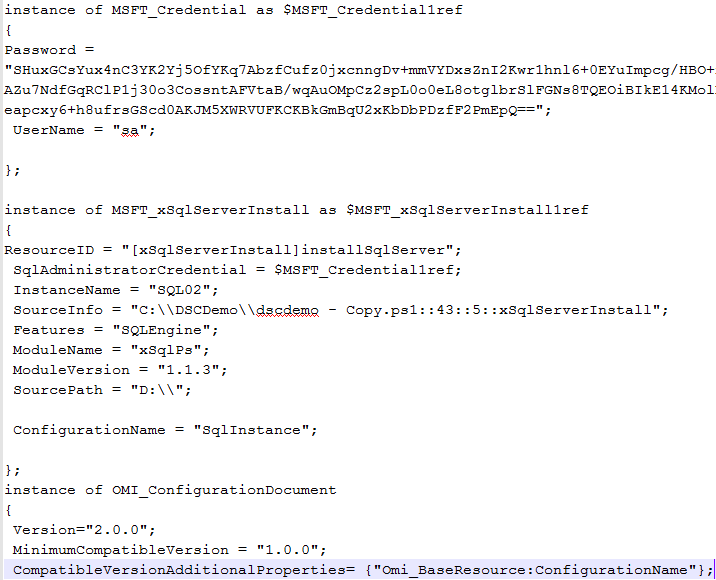 Learn more about securing credentials in PowerShell Desired State Configuration from the PowerShell Team Blog. 2.Download xSQLPs module. Make sure you unzip and unblock after you download. #where is the install binary? Importing module MSFT_xSqlServerInstall failed with error – File C:\Program Files\WindowsPowerShell\Modules\xSqlPs\DscResources\MSFT_xSqlServerInstall\MSFT_xSqlServerInstall.psm1 cannot be loaded because you opted not tun run this software. 1. 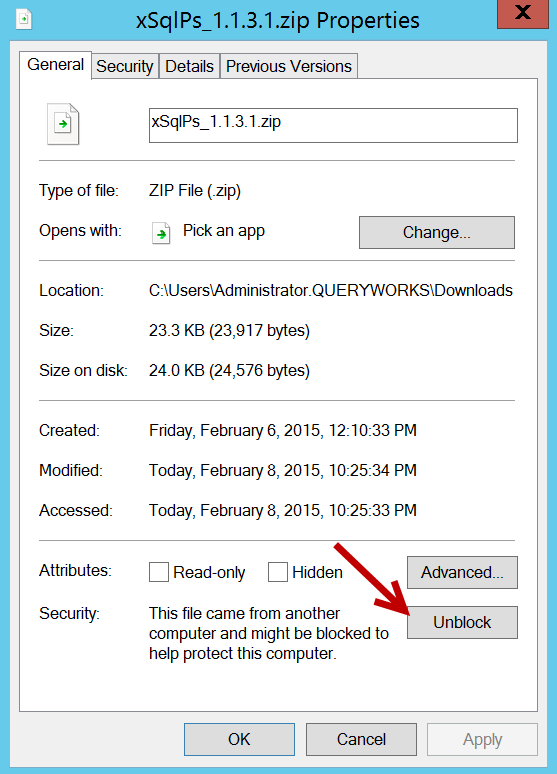 Make sure that before you unzip the xSQLPs file you downloaded, you unblocked it. 2. If unblocking doesn’t do the trick, you may need to set your execution policy to bypass to get you past this error and get xSQLPs imported. Remember to set it back to Restricted or RemoteSigned when you are done.